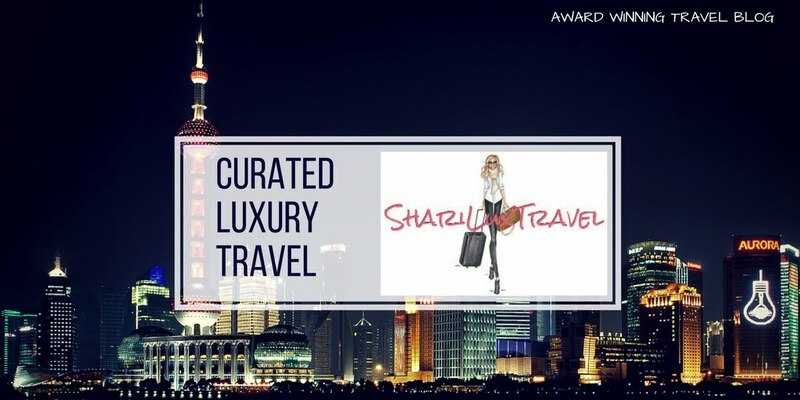 Home Blog Inspiration Travel Travel Tips Planning a trip to Hawaii? Don't miss these incredible beaches. Planning a trip to Hawaii? Don't miss these incredible beaches. 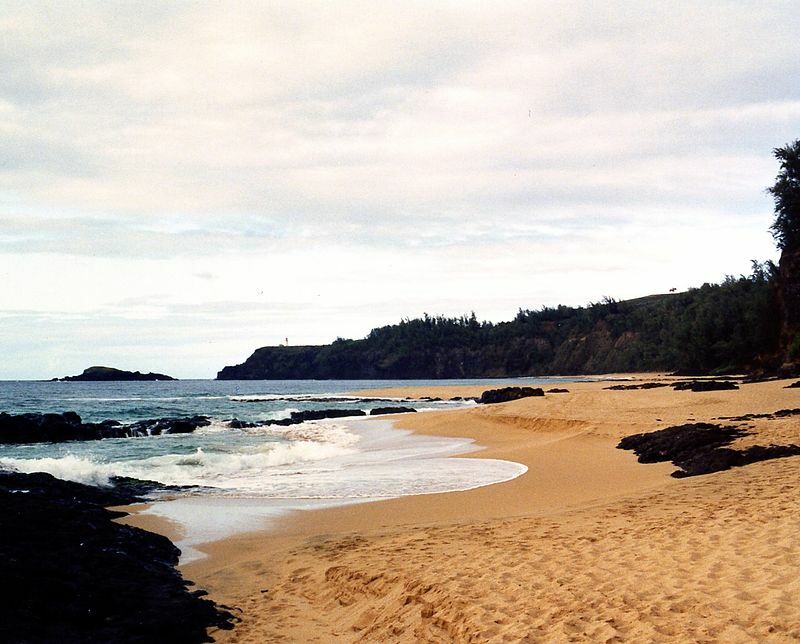 The Hawaiian islands can easily lay claim to having the most beautiful beaches in the world. Some beaches are dotted with posh hotels and lively crowds while others are tranquil and secluded with awe inspiring beauty. 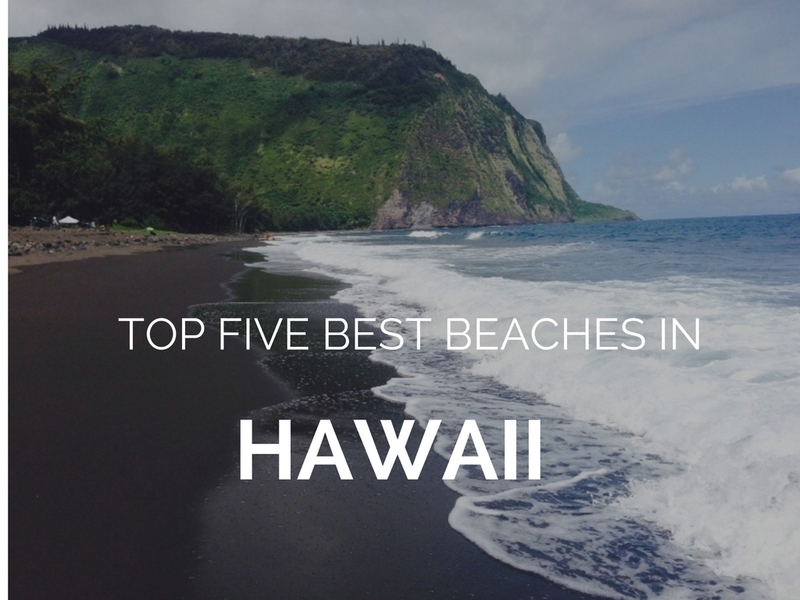 In Hawaii, you will find a beach for everyone, from perfect family destinations to ideal spots for diving, surfing and fishing, here are Shariluxtravels Top Five Beaches in Hawaii. 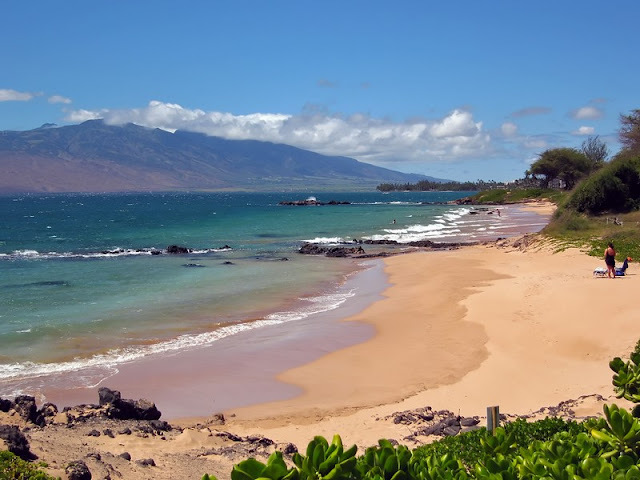 Known as Kam I, II and III, Maui's three Kamaole Beach Park beaches are situated along Maui's southwest shore and each are divided by rocky points. With no shortage of activities, you will fill your days with snorkeling amid sea turtles, picnics, and water sports. 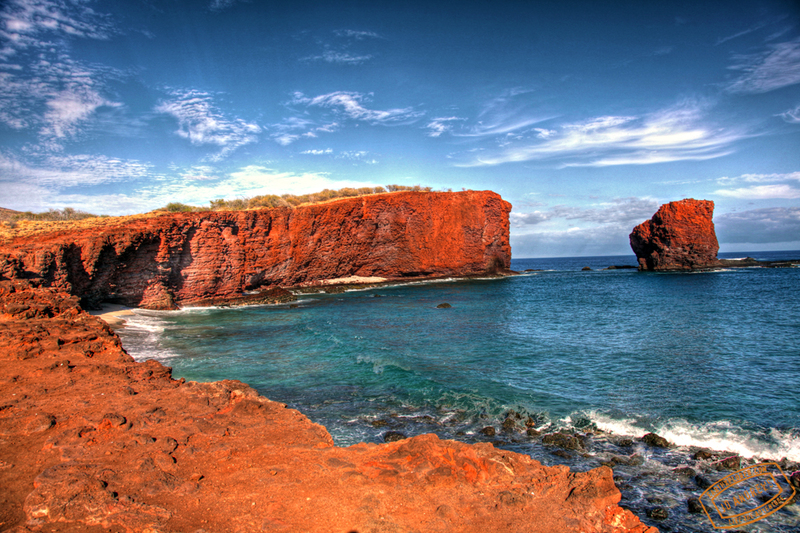 Surrounded by red cliffs, this white crescent beach is referred to by locals as the "Sweetheart Rock", and is one of Lanai’s most iconic landmarks. Located just off the southern coastline, Puu Pehe is situated between Manele Bay and Hulupoe Bay. 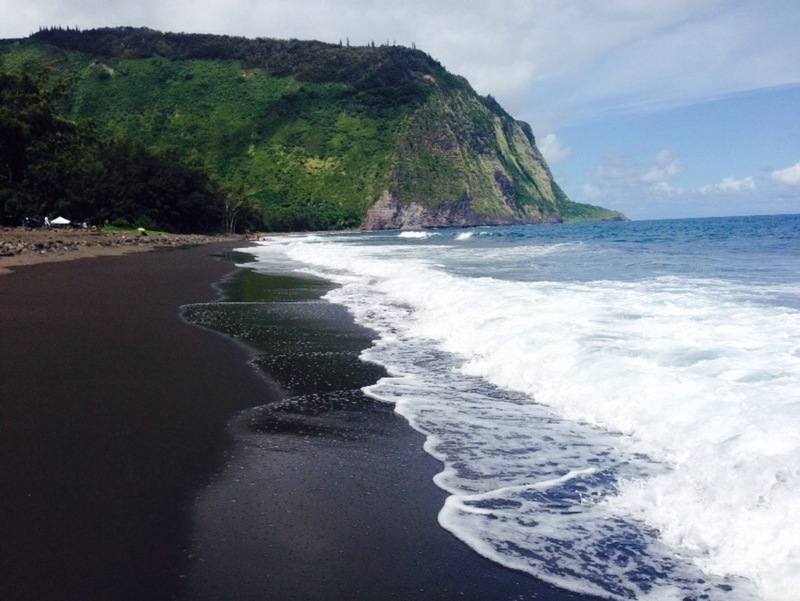 The Big island is known for spectacular scenery and Waipio beach is no exception with its incredible black ink sand. Don't miss the Kaluahine Falls, which cascades from a 1,400 foot-cliff into the ocean. To get there, consider taking one of the many tours that will give you a chance to experience more waterfalls within the Valley. Ultimate in seclusion and beauty, Kauapea Beach is also known as "Secret Beach" due to its remote location on the north shore of the island. One of the largest beaches by Hawaiian standards, Kauapea is covered in fine white sand with outcrops of black lava rock and is surrounded by lush red rock cliffs. 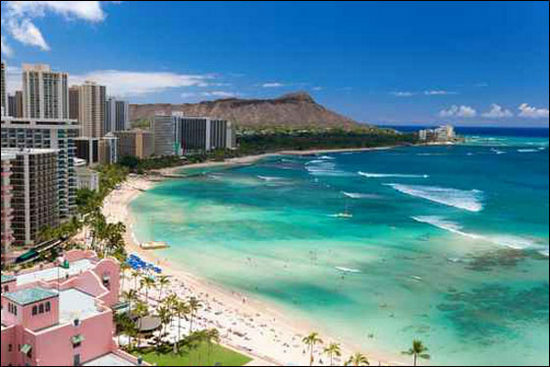 Waikiki beach is arguably Hawaii's most famous two-mile stretch of white sand. 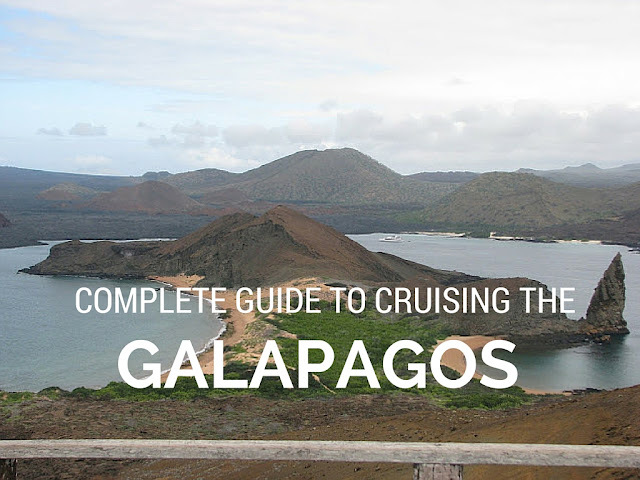 Lined with hotels and beach bars there is something for everyone. Whether you are looking spend your day surfing, canoe paddling, snorkeling, swimming, boogie boarding, sand combing, catching a golden tan, people watching, or marveling at a few beautiful Waikiki sunsets, it's easy to have a good time on Waikiki Beach.